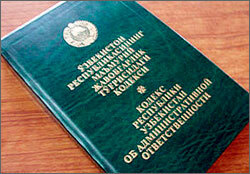 Fergana learned that Uzbek authorities launched mass inspections of non-governmental non-profit organizations in Uzbekistan. The inspection teams include all the controlling bodies - the ministry of justices, tax agencies and other relevant government arms. One can only speculate as to the causes of this heightened interest the government is displaying in regards with NGOs: many say the reason is the upcoming parliamentary elections in 2014 and the presidential elections in 2015. Or, possibly, the inspections are unleashed in connection with the closure of the Fund Forum, which belonged to Gulnara Karimova; after all, many NGOs received financial assistance from it. Or, possibly, it is one of the last nails in the coffin, so to speak: the authorities are trying to intimated NGOs to step up its control and to force them into curbing contacts with foreign and international organizations. As a reminder, the Uzbek National TV and Radio Company employees are prohibited from traveling abroad since recently, even during vacation. The task the inspectors have is identifying violations, even most trivial ones, in the NGOs’ activities and operations, and demand at court they pay fines. Perhaps this flimsy source of administrative fines could contribute some amount of money to the state budget. This topic, obviously, is topping NGOs’ agendas these days. However, nobody is ready to talk about it publicly or disclose their own and organizations’ names. The verdicts courts adopted to fine NGOs and findings of tax inspections in Fergana’s possession leave the impression of a total absurdity. But the problem is that the NGO in question does not hire employees for salary. It only has volunteers, which is clearly indicated in the agreements: whatever is fulfilled for the organization, it is done voluntarily and no compensation is provided. The next NGO we want to talk about is beleaguered with inspections. First, inspectors from the ministry of justice started shoveling through all of its financial documents, then they “uncovered” that the cashier is not familiarized with the rules of cashier operations, and later identified several other shortcomings. For instance, “receipts are not properly filled out” and several pages in the cashier’s log were not signed by the chief accountant (although were signed by the cashier). But these are not the worst violations they committed. The inspection findings were then handed over the Yakkasaray District Criminal Court, which ruled the NGO director was guilty of failing to coordinate the event and “in refusing access to a representative of the registering body at the event.” For such “guilt,” the NGO is obliged to pay a 159,180 soum (over 73 USD) fine. The court considered the admission of guilt and the lack of prior conviction of the director. Let’s not dwell into details of whether it is a big fine or not. The fact of the matter is a different issue: the justice ministry’s inspectors sometimes blab that there is a direct order from Tashkent to hold as many NGOs as possible administratively accountable. In other words, “nothing against you personally, but we have to check your documents.” They start digging into details and meddle into minor issues with the sole goal of either a) a fine, no matter how insignificant; or b) show controlling force and let the NGOs know who is boss; or) make NGOs so frustrated that they lose interest in such work. Foreign currencies that international donors wire to local NGOs are indeed a tough issue in Uzbekistan. According to the Uzbek legislation, all monies meant for NGOS and received from international organizations can be obtained via grants accounts at the National Bank of Uzbekistan and the Asaka Bank branches. But, once the money is received at such accounts, they are frozen until a special commission studies the project (the money is meant for) and approves of its fulfillment. A source in such a donor organization told Fergana that the consideration process is opaque and sometimes money can remain frozen for several months. After the consideration, you are either allowed to use that money or it is returned to the donor without any explanations. That is precisely why, Fergana was told, there are isolated incidences when international organizations are forced to break the law and wire the money directly to the NGO, bypassing obstacles, for the sake of somehow maintaining life in that NGO. It is impossible to learn how many NGOs operate in Uzbekistan. According to the same source, officials some times speak of 6,500; however, it is impossible to learn the names—the list is inaccessible. Perhaps the real number of NGOs is between 300 and 500 (excluding sports unions).